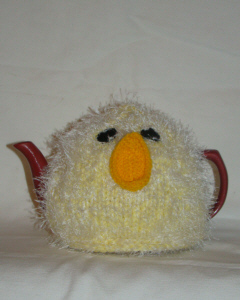 The Chick tea cosy is handcrafted from double thickness yarn for extra insulation. 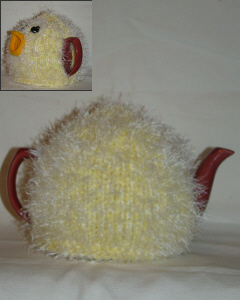 The Chick is made from lemon and fluffy white wool to give the Chick a really fluffy feathery look. The Chick has an ever open beak waiting for a wiggly worm.